The childhood home of Kevin Slimp was filled with characters of all kinds. From Raymond Cooper, owner of the town's only radio station, to Sarah Hyden-Smith, the first female preacher, there never seemed to be a dull moment in "The Valley." Things get even more interesting when Raymond Cooper decides to utilize his radio fame to propel him into the most powerful seat in town . . . mayor. Fortunately for the good folks of The Valley, Iris Long, editor of The Hometown News is keeping a close eye on Cooper. 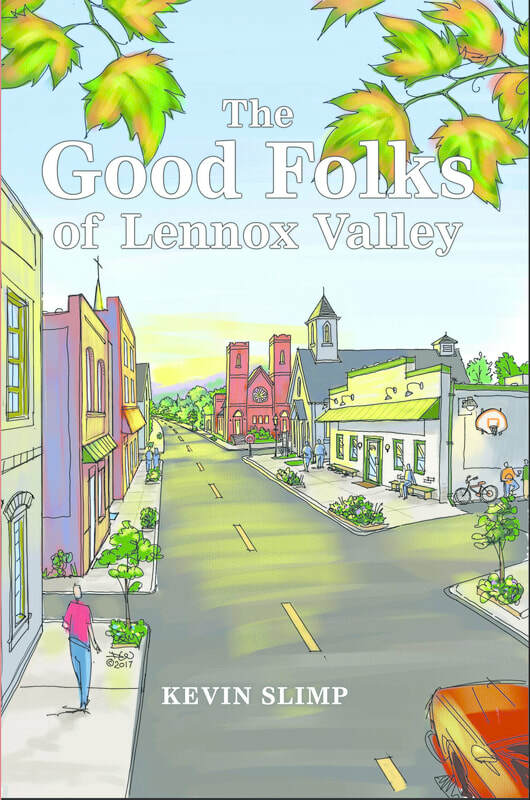 The story of The Good Folks of Lennox Valley has been followed by millions of readers since 2015. Enjoy the first book from this beloved weekly serial found in hundreds of newspapers across America. Kevin Slimp's work can be found in journals, magazines and newspapers throughout the world. His columns related to journalism are read by publishers, editors and journalists on four continents. Kevin's fictional syndicated column, The Good Folks of Lennox Valley is carried by 200 newspapers across America each week. He's also kind of a big deal to technology professionals since developing the method used in most printing today back in the 1990s. What Readers are saying about this book! "He takes readers to another place." "Reminds me of Lewis Grizzard." "Reading The Good Folks of Lennox Valley reminds me so much of reading humorist Lewis Grizzard when I was beginning my ministry. Like Lewis, Kevin has the gift of making readers wish they’d grown up in his home town." "Anyone who has ever lived in a small town can identify." "Even cranky readers love Lennox Valley"
"One of our normally cranky readers recently cornered me and said, ‘Well, you finally got something right.’ Of course I was curious what we could have done to make him happy. He went on to tell me how much he loves The Good Folks of Lennox Valley."